Need to satisfy your sweet tooth before finals? 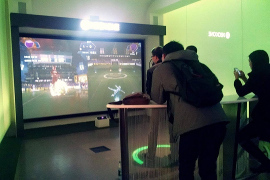 Need to get warm in the chilly winter? 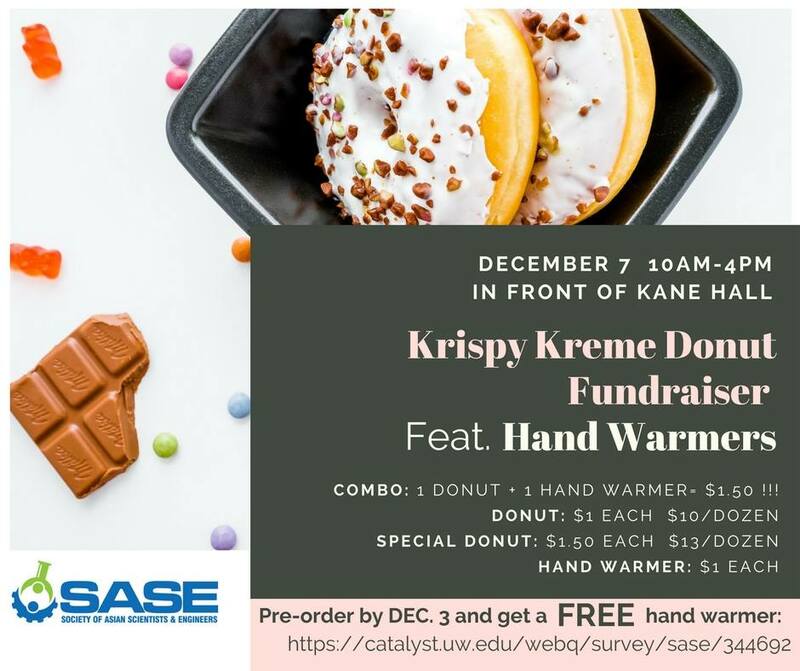 SASE UW is holding our Krispy Kreme donut fundraiser with hand warmers! Take a break and get cozy with us in front of Kane Hall on December 7th from 10:00AM to 4:00PM or until everything's sold out. Treat yourself, treat your friends! 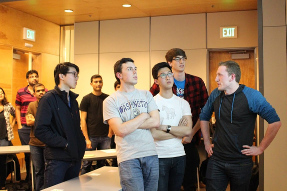 Interested in knowing what STEM research at UW entails? 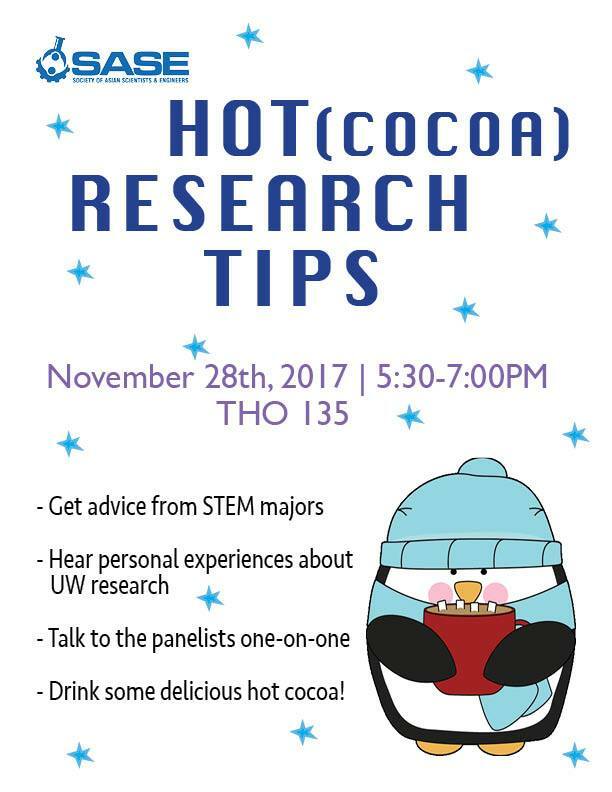 Want to learn more about getting into research while drinking some hot cocoa? Come to SASE's Research Panel on November 28th to get some "hot research tips" from upperclassmen! 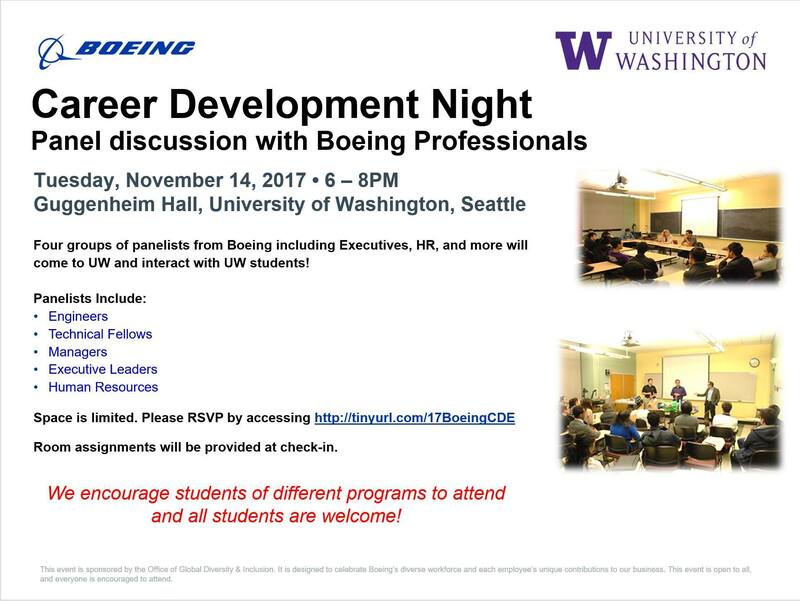 BOEING PRESENTS: An opportunity to network with Industry members from Boeing industry members (including Engineering, Technical Fellows, Managers, Executive Leaders, and Human Resources) who will provide perspective on professional life, discuss industry challenges, and provide “lessons learned” on careers and personal fulfillment. 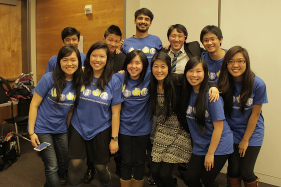 The Society of Asian Scientists and Engineers (SASE) - University of Washington Chapter is a student organization that promotes the fellowship among UW Asian heritage science and engineering students and professionals. SASE-UW is committed to helping members achieve their career goals in every possible way, from deciding major fields of study, to becoming competitive individuals for employment. Members also practice leadership skills through organizing community service projects and serving as mentors and role models for other students. 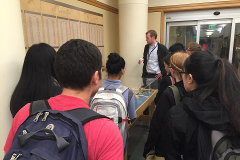 SASE-UW, promotes diversity and tolerance on campus and at the workplace, as all SASE chapters throughout the United States, and welcomes individuals of all ethnic backgrounds.